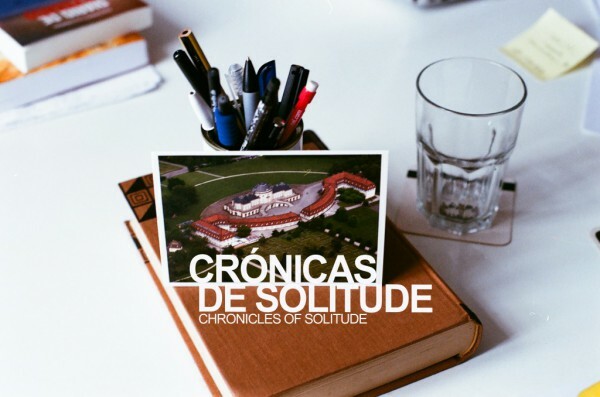 »Six chronicles about an enigmatic place called Solitude« – A talk with Manuel Ferrari, director of the new Solitude film Chronicles of Solitude, & Andreas Bolm, film maker and collaborator in the project on making a film about their temporary home as Solitude fellows. Where did the idea for the movie start? Manuel Ferrari: The day I arrived at Akademie Schloss Solitude I knew that I was going to shoot there since the place is magical. It was funny because I was there to work on other films and I ended up shooting my desk, the corridors, my window, and the fog around the area. Eventually, this film was finished much faster than the other projects I am still working on. How did your collaboration start? How did you work together as a team? MF: First, because we used to drink some wine and talk about movies with Andreas. Both of us like to write and direct films but also to operate sound equipment, cameras, lighting, and so on. We like talking about very concrete details on lenses, color, sound. In fact, I should mention that with Andreas, Alex Reynolds, Lisa Rave, and Peter Müller (all of us fellows who arrived at Solitude more or less at the same time), we created a sort of group since we liked watching films and discussing things while having a meal together. Actually, we worked together for the Chronicles of Work program, inviting Jean-Pierre Gorin to Solitude for a workshop (unfortunately, I wasn’t there during that time, but I clearly remember the moments when we called him and wrote e-mails to him and we all were kind of like kids waiting for the answer). Andreas Bolm: The collaboration during the shooting was somehow quite simple. We were a small team; we had to reduce our technical equipment. I was recording sound, and Manuel was recording the image. I felt that Manuel and I had a similar way of approaching things. We discovered the spaces in a similar way – with the same curiosity, sensitivity for sound and light. I enjoyed entering the castle from the sound point of view. And I am very happy with Manuel’s final »sound design« in the movie. It’s very organic, almost like a musical composition. MF: I agree it was absolutely that: a simple collaboration, and that does not happen so simply in a shoot. Relationships are always tricky and it really worked! You can have a nice friend to go and have a beer with, but when it comes to shooting a film it is not always the same. And with Andreas it worked. What are the different chronicles about? The film does not explain, doesn’t separate or evaluate these different processes. They simply coexist in time, sound, and space … And sometimes I have the feeling we are entering a huge spaceship that has landed on a far away planet. Like in the Martian Chronicles of Roald Dahl. MF: Well, it is really a great way of describing it. I could have never put it better. Definitely, the film avoids explaining or comparing anything; it is that sort of approach that Andreas clearly marks. How does the film reflect on the history of the castle? MF: I am not so sure it reflects something. I am not even so sure if I like films that »reflect« things. I prefer films that can raise questions like: What is that place? What the f*** are people doing there? Is that Schloss really called Solitude? AB: I don’t think it does reflect on the history of the castle. MF: I didn’t read the question properly. It is like Andreas says: there is no encyclopedic history. There might be some tiny histories, but that is all. What is the chronicle »words and ghosts« about? MF: Well, ghosts is for me a way of speaking about the skeleton and structure beneath the Akademie. Those spaces and details inside attics, archives, tubes, machine clocks, and little signs are for me the »word and ghost« explanation. AB: Yes. Archive. Tubes. Capital letters. Ghost-machines. 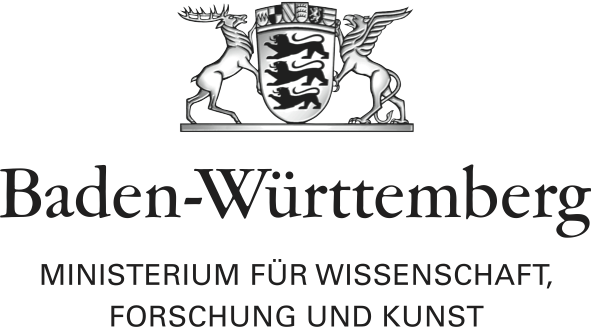 The skeleton and the nervous system of the Akademie. It’s the memory, the RAM. How would you describe the atmosphere and the leading motifs of the film? MF: I should say I don’t have a clue, but I am going to try and answer this question since I am the director and editor of the film. I would say a few key words: windows facing little moments of sun, foggy surroundings, silence, and distant pianos. AB: I think that is a beautiful leading motif, a strong point of departure. How would you describe the aesthetics of the film? MF: I would say aesthetics is a branch of philosophy. So, I would just call the film an experimental approach to a place using documentary tools but staying away from a conventional institutional film. And of course, without forgetting myself as a filmmaker being there behind the camera and my experience as a fellow who is shooting the place where I lived for six months. Is there any film tradition/special mode of production the film refers too? MF: I hope not explicitly! The film was made so fast that I didn’t have time to think in any sort of concrete reference or genre to stick to. This is the first time I made a non-fiction film. So everything was new, even as regards references and traditions. Anyway, I don’t know if this answers the question, but I want to say that I am very proud that the film was made by just two people – Andreas and me. That is something that places the film closer to a more handcrafted film, and I like that because it means the film does not follow the standard process of filmmaking. And by standard, I mean that you don’t really notice that there is someone shooting the film, and I like it when I see little imperfections here. AB: The form of production is often defined by the circumstances. But I can’t say how this would refer to anything traditional or special concerning the Chronicles. I don’t think this question ever came up for us. We simply worked in a way we could and wanted to work. Small team. Small equipment. And that, I guess, simply refers to a way Manuel and I have often been working before on our own projects. How did you collaborate with the other fellows producing the film – like Kinga, Rob, Silvia, Nicolas? MF: Well, it’s different between each other. With Nicolás Mondon, we talked about music some days during lunch, and then one day he sent an email saying he was going to rehearse some Beatles songs in his studio, inviting people to listen. So, I went with my camera. The funny part is that those moments are on the film but using a totally different music. Actually, those keys over his piano (where the sun is on the wall) is Jean Luc Plouvier playing some note for Rob’s Phillips composition. So, I just took some single notes from that moment when they were rehearsing. Then with Kinga and Silvia, it was more or less similar; we shot while they were rehearsing (the same with Nestor and Cyiriac or when the Belgium composer Cédric Dambrain was playing the drums. This was a crazy moment; we heard someone was playing the drums hard rock style and we went there and shot him). But going back to Nicolás Mondon, he offered a piece that he had composed, called Solitude, for me to use in the film, and that is the only »real« piece of music used in the film, which is fully played as a piece in the last chapter. What role does the sound play in the film? How was it produced? MF: The sound was recorded by Andreas Bolm; he made everything. All sounds come from direct sound recorded in Solitude. Music is part of the sound recorded there. Music is used as direct sound, because when you are in Solitude there are always musicians playing, and of course that is part of the ambiance. I always consider sound and image equally important in my films. There was a colleague and also filmmaker – as Andreas – who helped me with sound post-production here in Buenos Aires. His name is Francisco Pedemonte, and he mixed the sound. AB: Recording the sound felt like entering the insides of an organism. Noises of the tube/heating-system. Silence. Distant voices in the corridors. The ambiances of the nature around. The leaves falling. And of course the music. Piano. As mentioned before, for me the soundtrack feels more like a musical composition. Neither the sound nor the picture wanted produce a realistic, authentic image of the castle. How does the film reflect on your life and experiences as Solitude fellows? MF: In my case, that is part of what the film is. The film reflects my time there. AB: I agree. I think the shoot extended our experience as Solitude fellows. And that surely became part of the film. What were your experiences as Solitude fellows? MF: Well, I have never had this kind of support in time and space to work and just being free to use the time as I want. I was able to write, edit, and shoot more than two films. That for me is unique and that happened there, and the people I met were very important too. AB: For me, I guess the most important experience was to meet all the other fellows from different disciplines: chess players, scientists, architects, filmmakers, composers, dancers … Sharing these months all together: discussing, or just being in silence, laughing drinking, eating, or just dancing on the cafe dance floor. For me, some important links came out of that experience, collaborations and friendships which will continue to exist long after the fellowship. What is your message to the Solituders with the film? What is the message to the outside world with the film? MF: I don’t like films that include any sort of message. I only hope that if a Solitude fellow watches the film he or she can feel some sort of connection. And that connection can lead them to find something new from the place they lived for a while. What happens after Solitude? For you? For anyone? Did you stay in touch with people? MF: After Solitude – at least for me – you are still totally connected to Solitude. So, I would say there is not really an »after Solitude!« Of course, I stay in touch with lots of people and I would love to meet them all again one by one in their own environments and places where they live. AB: I agree. Sometimes it feels that we are kind of still in. What will happen with he film? Will you show it anywhere else? MF: It was world premiered at FIDMarseille in July, and then later it will be the Sommerfest for the 25th anniversary of the Akademie. There are many festivals interested, still no confirmations of what comes next, but hopefully it will be screened in many places! As part of his project »The Europeans,« Damaso Reyes explored the experiences of people of African descent in Germany and Poland. You can listen to the radio feature online now.